We retreat to the mountains for Memorial Day, our Prius silently easing into a parking spot at the mountainside timeshare condo. We have to shoo away the deer as we unload. We all have our roles to play. It happens gradually. We get comfortable in our job. The mortgage kicks in. A couple extra pounds. A drink each night. A quiet release of expectations. The deer loiter out back, inches from our deck rails. They periodically retreat into the shallow woods behind our unit, more out of boredom than fear. Our 20s were bold and transient, lived on instinct. Our 30s were sensible and fruitful, laying foundations. The 40s are routine and comfort. The neighbors fling kibble and the deer gather. 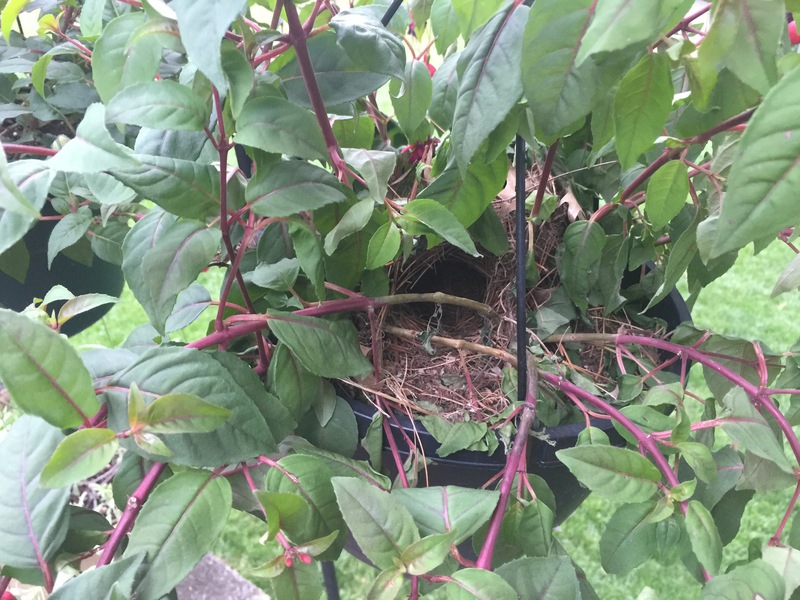 Birds built a nest in the hanging plant on our back patio. There are strollers and squirrels and SUVs and the near constant hum of a lawnmower from somewhere. Cardinals fly past, brown females or males the color of our throw pillows. Bunnies eye our garden with envy. Hedgehogs dodge cars and we build fences. Deer dash through our backyards there. This entry was posted in Aging, City living, Travel and tagged deer, domestication, middle age, suburbs on May 29, 2016 by aszyper.